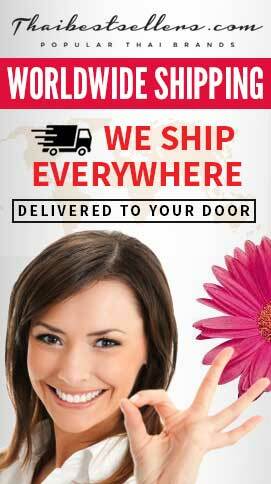 25 Fiber by BabyThailand is the instant powder dietary supplement product. 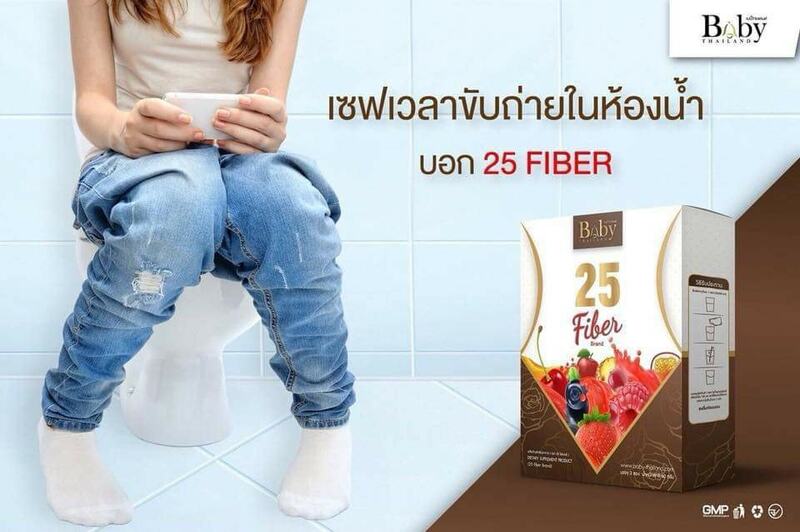 It contains 25 natural extracts with fiber up to 20,000 mg to help stimulate the excretory system for easy and comfortable excretion and prevent the waste from being stuck in the body. 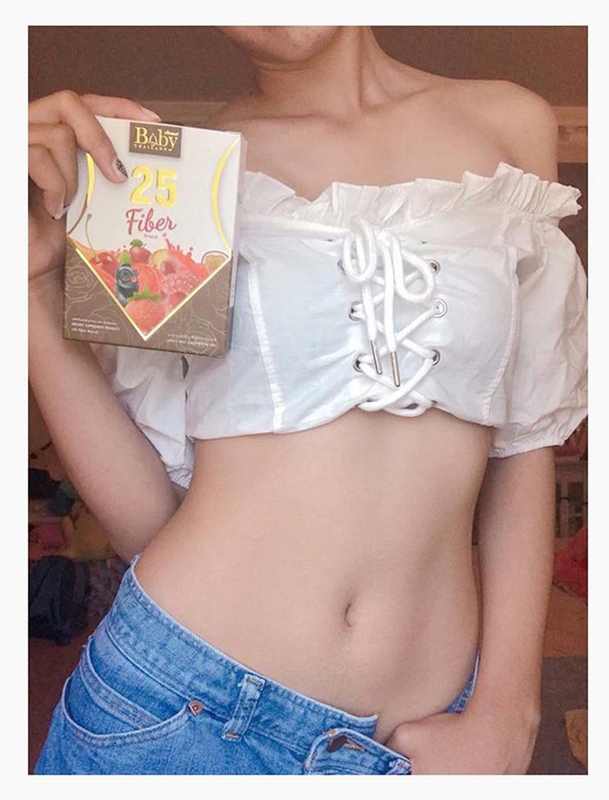 So the body can absorb nutrients better. 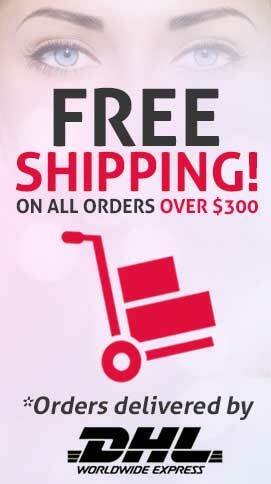 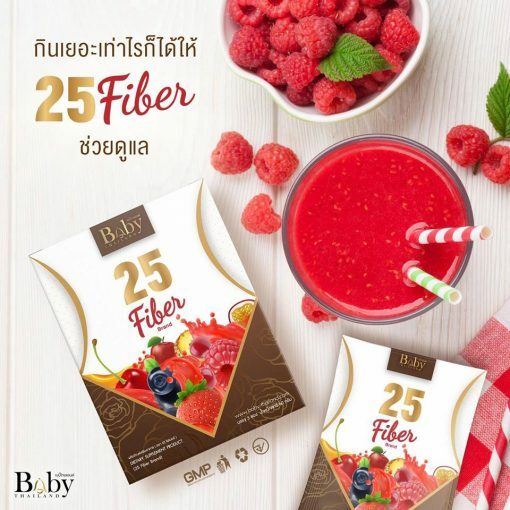 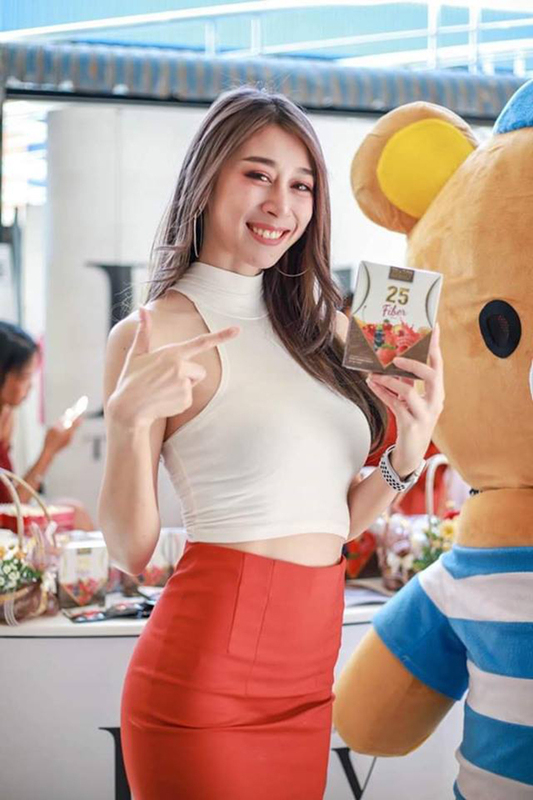 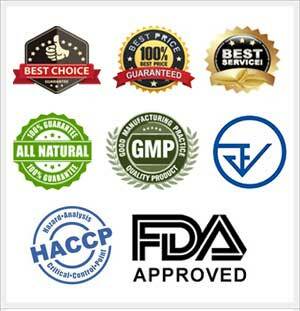 25 Fiber by BabyThailand also helps detox, expels out toxins from food, and cleanses the intestines within the body, resulting in bright, glowing, and more luminous skin, solving constipation problem, and preventing various diseases caused by abnormal excretion such as hemorrhoids and colon cancer. Moreover, fiber helps promote fullness and reduces fat intake which will help slim up the shape and lose weight for a slender body and flat stomach. 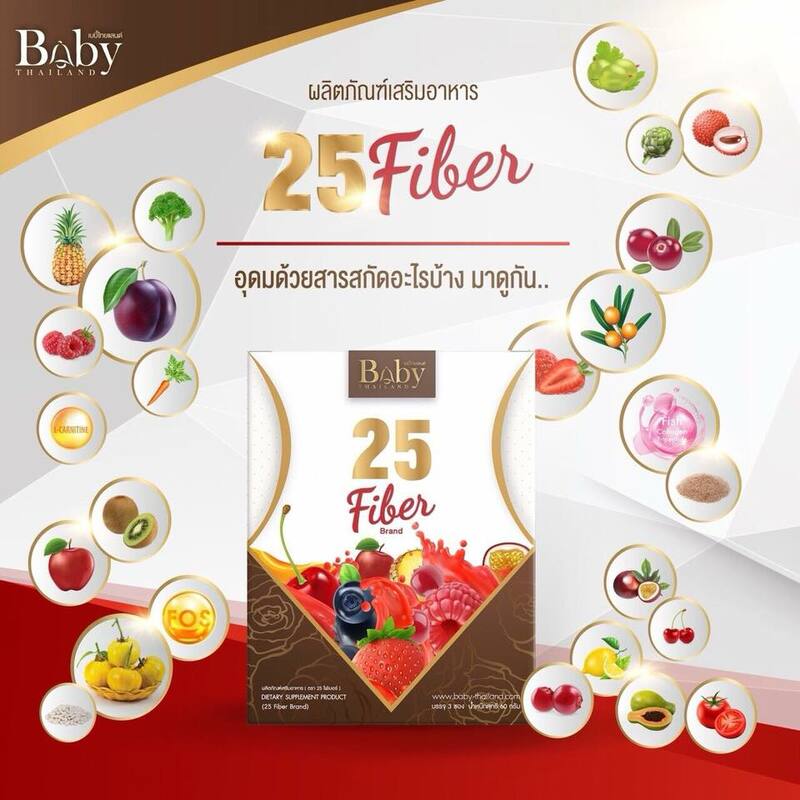 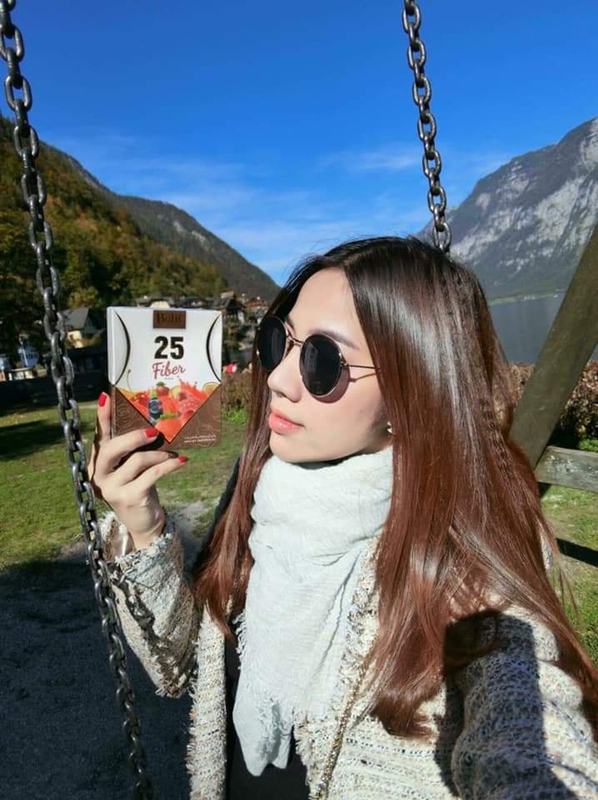 25 Fiber by Baby Thailand is the instant powder dietary supplement product. 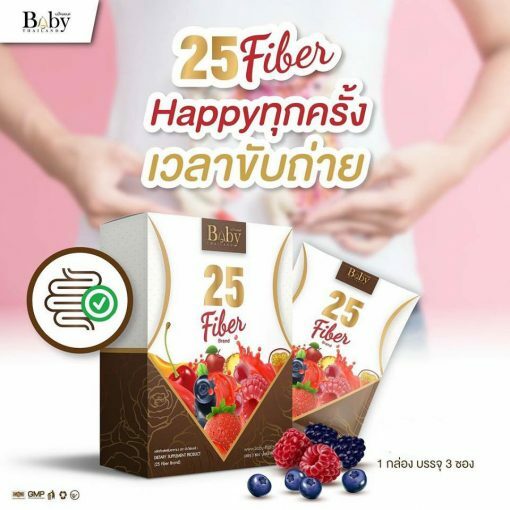 It contains 25 natural extracts with fiber up to 20,000 mg to help stimulate the excretory system for easy and comfortable excretion and prevent the waste from being stuck in the body. 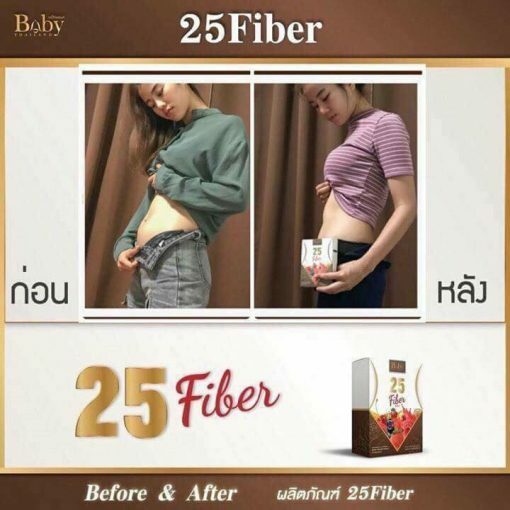 So the body can absorb nutrients better. 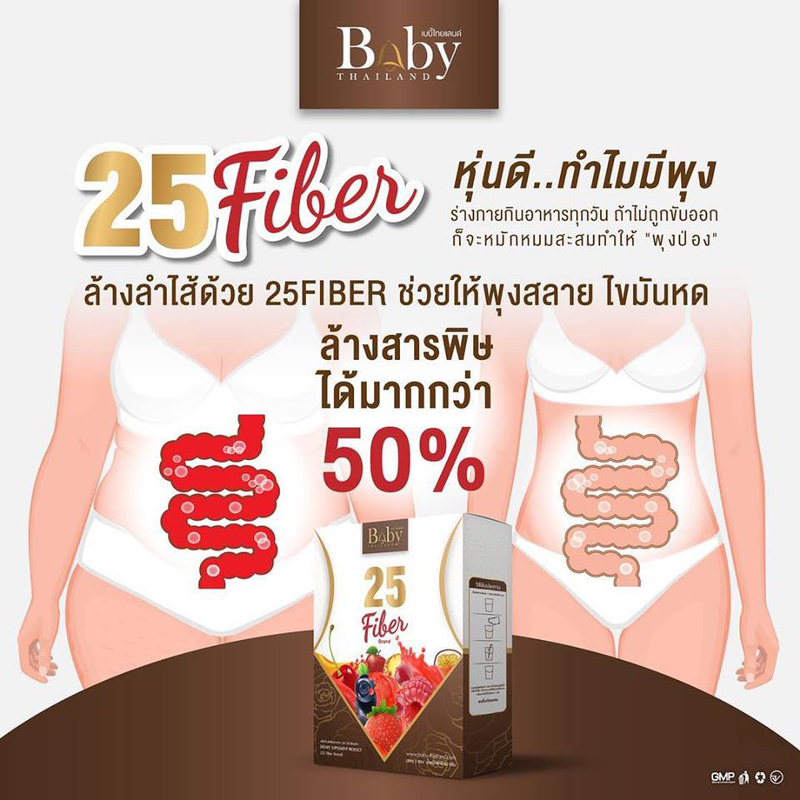 25 Fiber by Baby Thailand also helps detox, expels out toxins from food, and cleanses the intestines within the body, resulting in bright, glowing, and more luminous skin, solving constipation problem, and preventing various diseases caused by abnormal excretion such as hemorrhoids and colon cancer. 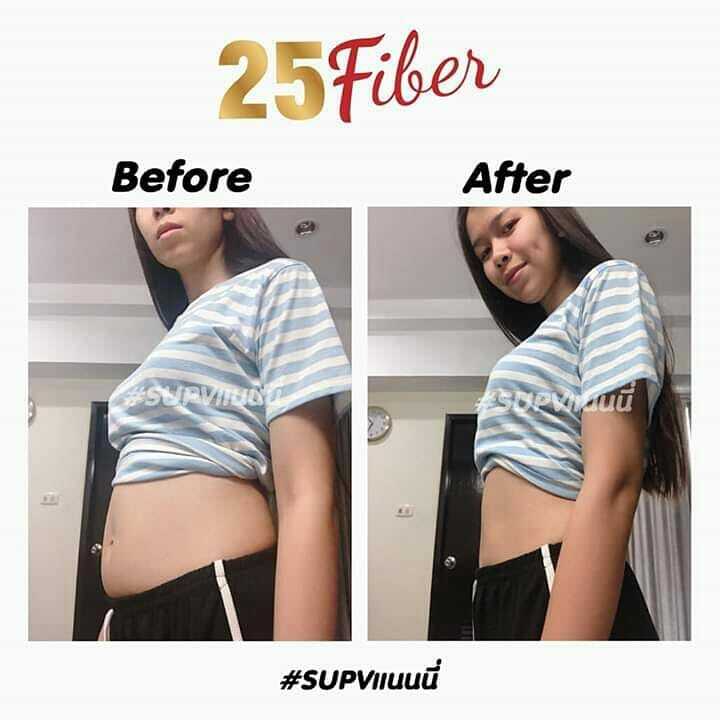 Moreover, fiber helps promote fullness and reduces fat intake which will help slim up the shape and lose weight for a slender body and flat stomach. 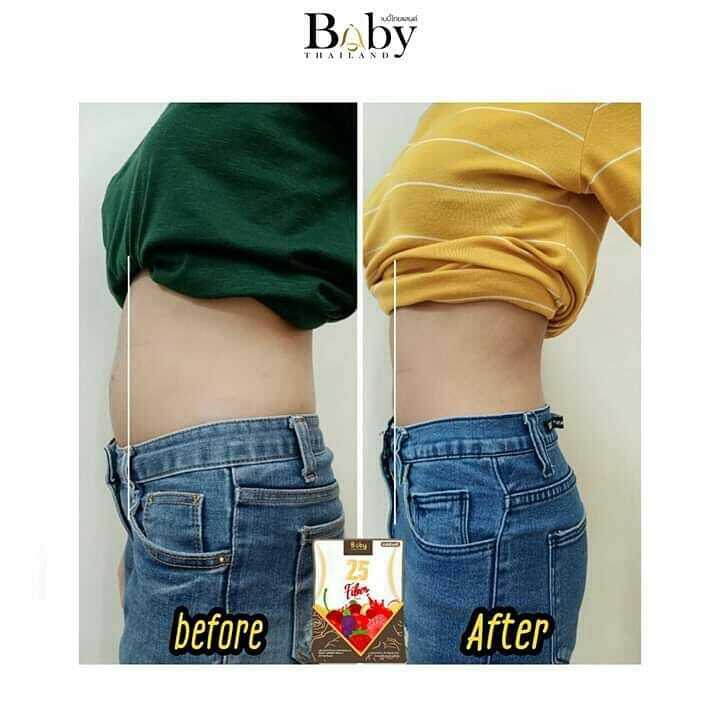 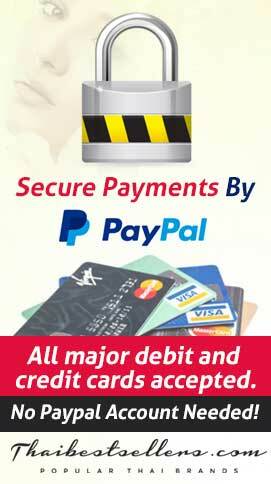 Directions: Mix 1 sachet with 1 glass of water and drink before bed regularly.